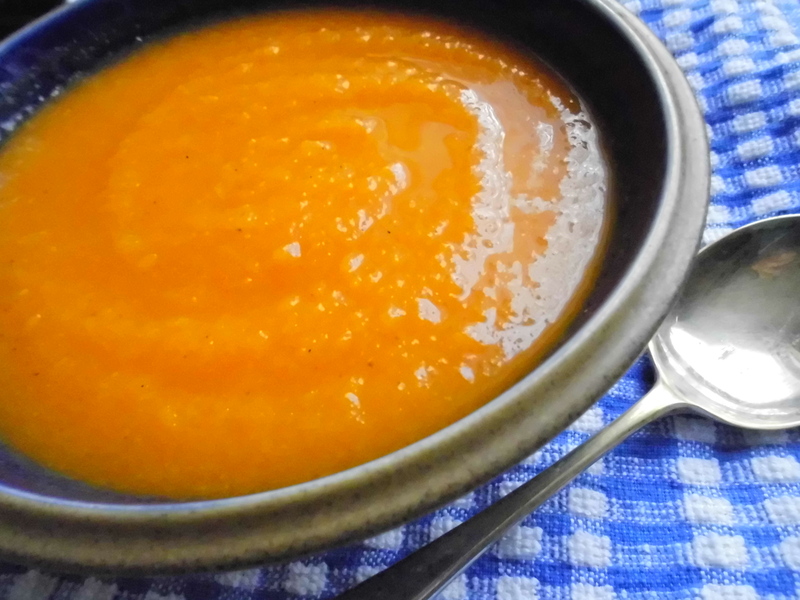 Easy to make, sweet tasting and wholeheartedly filling…soup. And this time, it’s Carrot Soup. Dawn: Sounds like someone I know! Twinkle in my eye! Put the onion in a medium size saucepan on a medium heat and cook for about 5-10 minutes or until the onion has softened in texture and started to become transparent-looking. Dawn: Remember to add a generous splash of cold water before cooking the onion as an alternative to using fat. Add the sliced carrots and vegetable stock to the saucepan. Bring the ingredients to the boil and when there, turn down the heat to enable the ingredients to simmer gently until cooked. This should take about 15-20 minutes. Andrew: You can test to see if the carrots are cooked by piercing one or two with a fork. If the fork goes in and the carrots are soft, they are cooked. If not, allow the carrots to cook a few more minutes longer. Dawn: It’s worth noting that the smaller the sliced carrots are, the quicker they will cook so saving on fuel costs as well as speeding up the cooking process, too. When the carrots are cooked, blend to a thick consistency with an electric hand blender or food processor (whichever you have). Season with salt and pepper to personal preference. 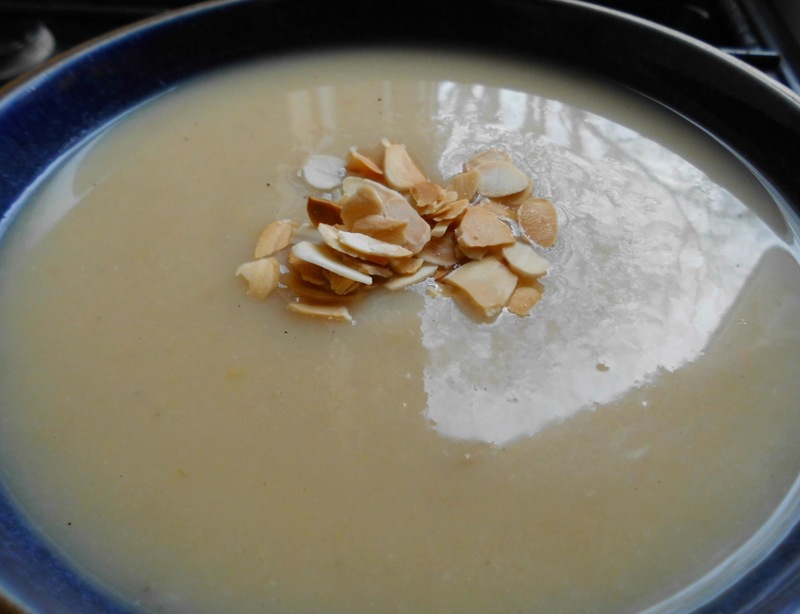 Dawn: And there we have it – another simple soup for a filling meal! For more simple and tasty meals, cooking tips and delicious treats then follow this blog – www.forfoodlovers.wordpress.com – and Twitter @Love_Food_UK. Soup, soup glorious soup! Here at Love Food HQ, we are big fans of making your own wholesome and tasty soups – that cost so little, it’s embarrassing to realise. Line a baking sheet with greaseproof paper, putting the tomatoes and red pepper quarters on it. Place in a pre-heated oven at gas mark 6, 200°C electric for 45 minutes. Dawn: I like the vegetables to start to appear charcoaled grilled in appearance as it adds to the soup’s flavour so I like to leave the vegetables in the oven until they start to have this appearance. this takes about 1 hour to achieve and is worth the extra time. When the vegetables are cooked, remove from the oven and set aside while you prepare the basis of the soup. Put the onion into a medium sized saucepan with a splash of cold water and cook for about 5-10 minutes or until the onion has become soft and transparent in look. Add the crushed garlic and cook for 2-3 minutes. Add the cooked vegetables and vegetable stock, bring to the boil and then reduce the heat to enable the ingredients to simmer at a low heat. Cover the saucepan with its lid and cook the ingredients for 20-25 minutes. With an electric hand blender, whisk the cooked ingredients until they are all combined to form a thick soup. Serve warm, with garnishes and warm crusty bread. Andrew: My cue to rise to the occasion and do one of my breads. Dawn: I’m sure there’s a retort to be had there! I’m biting my tongue!!! Dawn: I most definitely am!!! 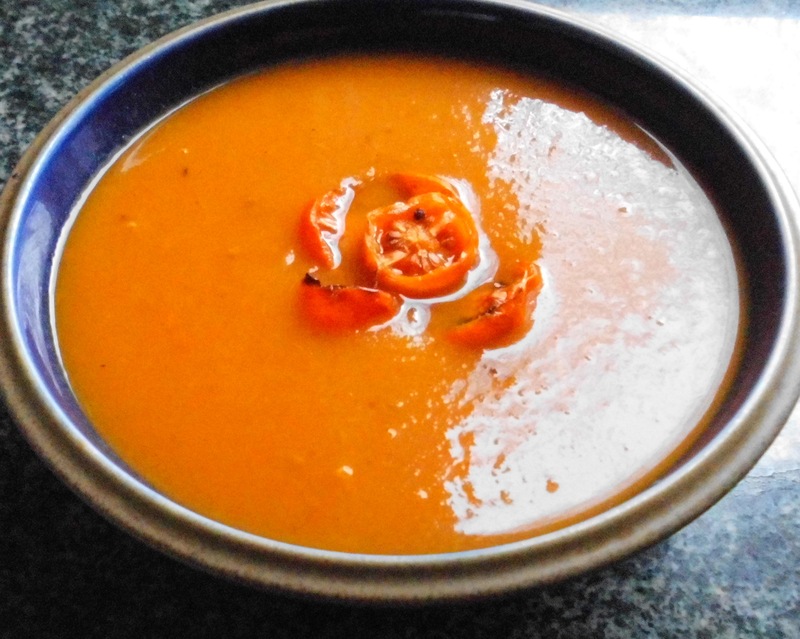 For more splendid soups, marvellous meals and delicious dishes, follow this food blog – www.forfoodlovers.wordpress.com – and over at Twitter for updates, too @Love_Food_UK.